The Fresh Market is known for its open-air market feel and its locally sourced produce (hence the name). With 129 stores in 25 states and over 10,000 employees, The Fresh Market has grown in size and popularity. 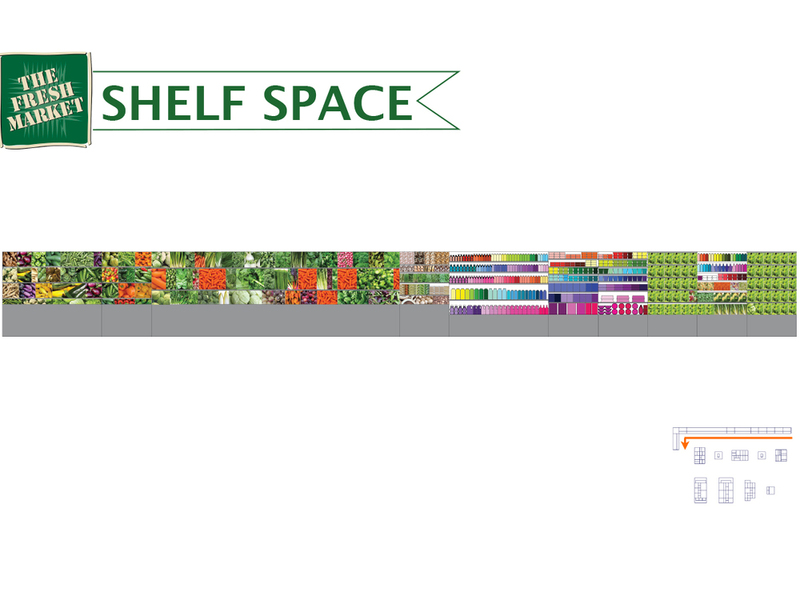 The produce section is one of the main anchor points of the store, and houses highly profitable products. On average, consumers are buying more locally sourced fresh produce. However, poor signage throughout the store has lead to confusion and frustration for the consumer. Retain customers by creating a streamlined process for buying groceries. Brand Immersion: spent countless hours in-store measuring, recording and coding products, read reviews, blogs and analyzed website. Market Research: spent countless hours in-store at Whole Foods measuring, recording and coding products to analyze store processes and researched market trends. Consumer Analysis: Observed and interviewed customers in both stores, read-through customer comments and testimonials, researched customer behaviors. 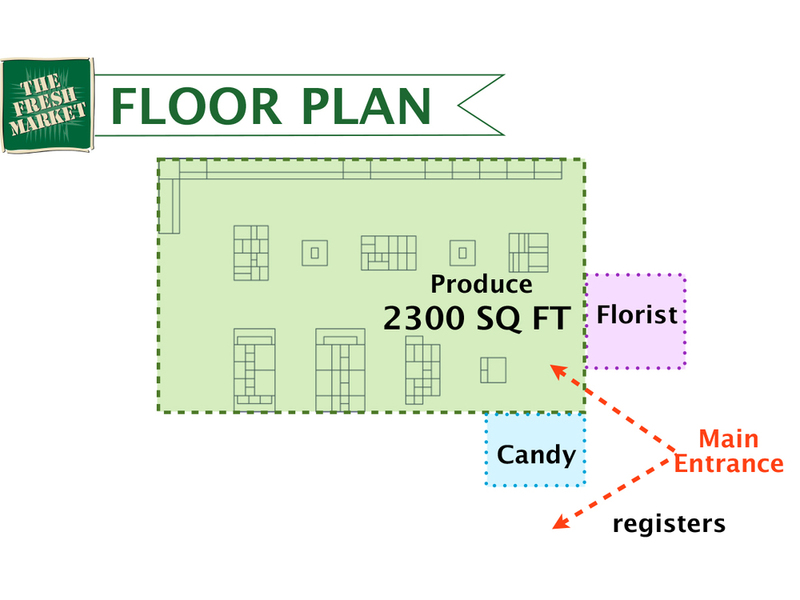 The Fresh Market can maximize profits if they utilize their space, create natural traffic patterns and streamline purchasing process. 1. Give the illusion of an open feel with less freestanding displays, and create a natural traffic pattern. 2. 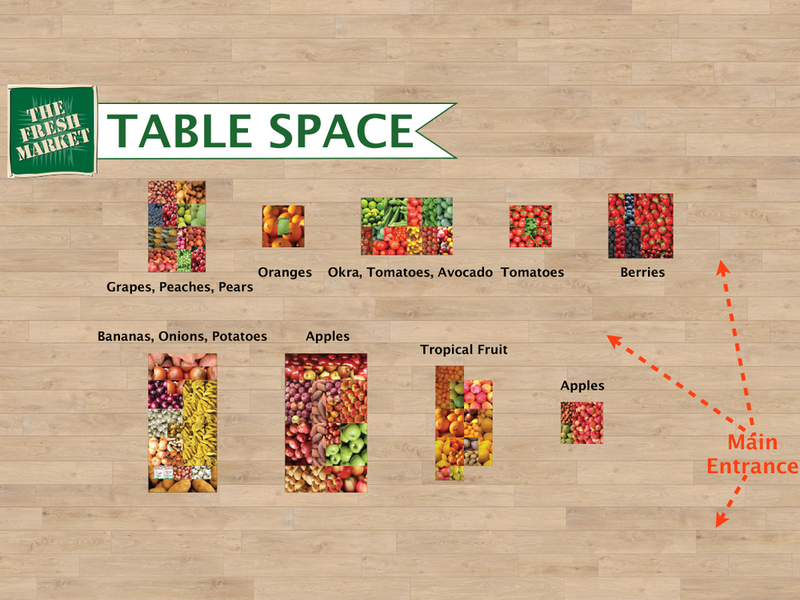 Utilize complementary products throughout the produce section to spur ideas for meals. Gives The Fresh Market the unique, made-for-you feel. 2. Make shoppers pass the high impulse and high margin products on their way to shopping staples.